As a mother of FOUR and a recent GRANDMOTHER, I was the exception to the rule for this app. You see, I'm not done having a family of my own yet. Crazy right? Not for us, and I can imagine I'm not as unique as I think... I was a young mother at 23 and had my four kids within 6 years with my ex-husband who always travelled while playing professional basketball in the NBA. Fast forward 15 years, the kids are now 16,17,19, and 21 (two boys and two girls) and baby Luca, my grandson, is one month old, and I am 5 years into a wonderful relationship with my partner whose never had kids...and WANTS some (SOME?!). After an unfortunate miscarriage and erratic menstruation patterns due to peri-menopause, I figured my baby-making days were over which saddened us both (and stressed the relationship), but hormone tests revealed that I was still in the game. 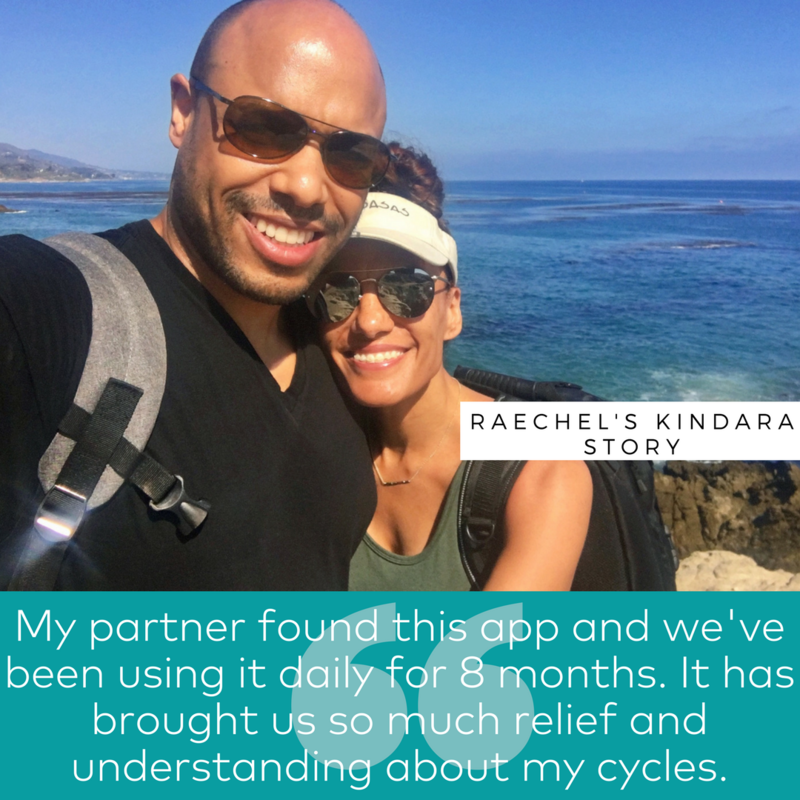 My partner found this app and we've been using is daily for 8 months and it has brought us so much relief and understanding about my cycles, emotional well-being and most importantly, a community of awesome women who feel, act and want to be family! While we have not yet been able to have a baby, the information I have learned from other women struggling to start or grow a family tells me that there is still hope, and while on the journey to having number FIVE, I have learned to heal my body with food, habits and supplements that these incredible women have provided insights to. My daughters will be using this app so that they too can feel empowered, in control of and in alignment with their bodies. And finally I have enjoyed being the student and the mentor as I've engaged with so many woman who I follow and follow along with me. I've seen a ton of woman get and stay pregnant while using this app religiously. I'm surprised someone hasn't yet named their daughter Kindara. Thank you so much for putting my family's well-being in the palm of my hands.